What do you do when audio gods send earthlings a singularly revolutionary piece of equipment, yet all you can do when you sit to write the review is think about the music? You chalk it up to the magic of divine intervention, listen ’til your significant other tells you to come to bed, and you write like hell – whatever happens to come to mind about music, adolescence, the mystic, etc. The Bluesound PowerNode 2, a high-quality streaming music player with built-in digital amp, is one such gift from above. Invite it into your home, and you may find your other equipment has vanished before your eyes, or at the very least receded far, far into the background, somewhere near that steel-plinthed BIC turntable you just can’t bear to toss, or maybe next to that 1960s Scott 200 integrated tube amp that sounds like asbestos. Oh yeah, it has a back as well. Click for a larger image. The PowerNode 2 is a tiny thing even compared to something like a component CD player, sort of like a Shih Tzu is to a Labrador Retriever. Those Bluesound designers must have a thing for feng shui, because they thought to cause it to appear tinier by making it look like two even tinier modules stacked on top of each other. I’ll bet you weren’t expecting an optical illusion so early in the morning, were you? By the way, I wouldn’t suggest stacking your Shih Tzu pair under any circumstances. Trust me. I’ve tried it. It truly is two mighty little components in one; for this I in my cluttered-component state am glad, and you may be, too. At its most basic, it’s a digital converter (1) and a digital amplifier (2), with some Wi-fi streaming media parts thrown in so it can talk to your network. You already have digital files on your laptop, right? No more CDs, no more LPs. Well, hold on now, you say? Let me put it to you this way. Since I plugged this thing in a few weeks ago, I haven’t even considered firing up the CD player or the turntable. Did I mention that it has a subwoofer line-out jack? Yes, that, too. And the pipe organ and synth bass enthusiasts everywhere rejoiced. Once upon a time, I had an NAD CD player. (Of course, this was 20 years ago, and it didn’t stream media. It just sat there and played CDs.) It was one of those with the green power button that they now call “vintage” and sell on eBay with a “Buy It Now” price of $117.40 USD. I liked the grey-blue color, even if it didn’t match the black brushed metal front plate of my Rotel integrated amp. It sounded pretty good and fit my limited budget. Naturally, I couldn’t leave well enough alone, so I ripped out the power supply and put it in its own little metal box from Radio Shack and attached an expensive brown-colored AC cable from AudioQuest. I even attached nice little black rubber feet to the bottom of the new power supply box. So much for aesthetic appeal and the feeling of having saved money. At the time I’d have told you it sounded marginally better for this minor surgery, but indeed there was no proof. No matter, these were my bachelor days, and things could look the way I wanted, and I could say what I wanted. I used to have an NAD CD player that looked like this one (although in my memory it’s more blue-grey than dark grey), complete with round green “On” button, before I ripped the case apart and removed the power supply to its own box on the side. What was I thinking? Fast forward a couple of decades, and another NAD product lands in my setup, this one under the brand of Bluesound, a sister company. I’m told the PowerNode 2 streaming media integrated amplified benefits from the digital amp technology in NAD’s super-expensive amps, but damned if I know what that actually means. I’m not going anywhere with this, other than to say that NAD has been around a long time and is known for quality budget audio components, even some that stand out in the wide sea of entry-level audiophile components. 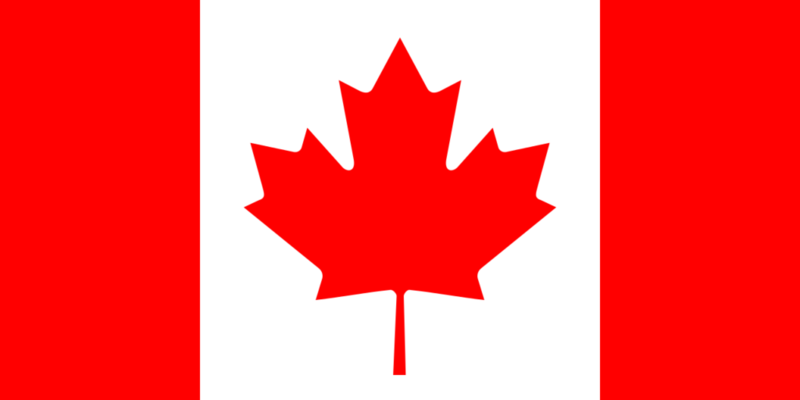 Bluesound/NAD Electronics are based in Canada. You will see far more of the BluOS Controller interface than you will of the PowerNode 2 media player itself. 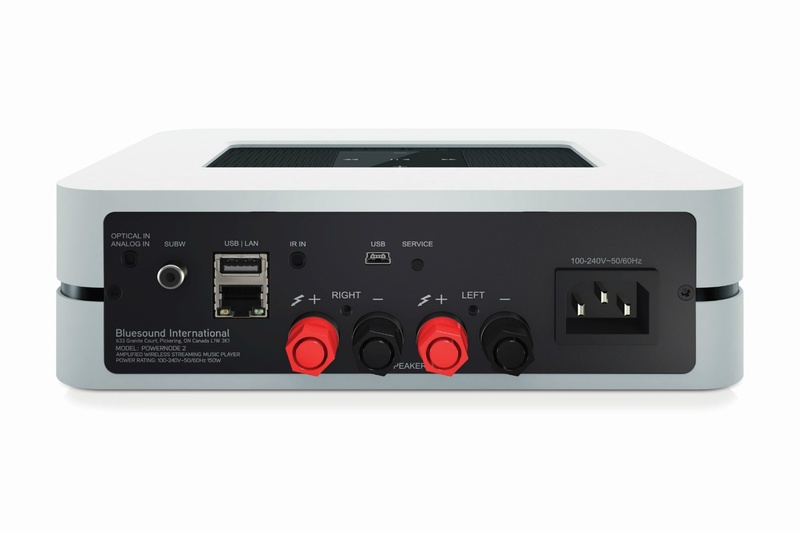 (You will probably put the PowerNode 2 into an unused spot in your audio or TV cabinet, and forget it’s even there.) Heck, there’s a way to see it as buying a $799 music app and getting a little piece of hardware to sweeten the deal. The BluOS Controller provides all the controls you need. 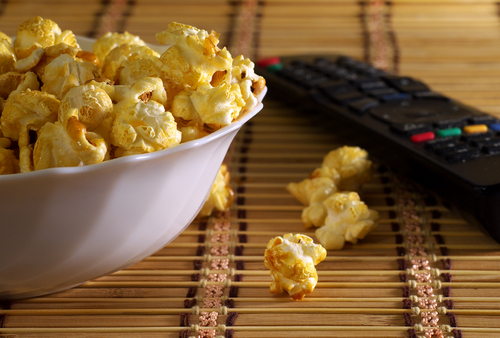 Pick your music file or pick an internet radio station, slide to your preferred volume, and you’re off and running. There are a few buttons on top of the PowerNode 2, but I haven’t even checked them out yet. I want to sit on my couch and run the music from here. I am sick of getting up and changing CDs and records. 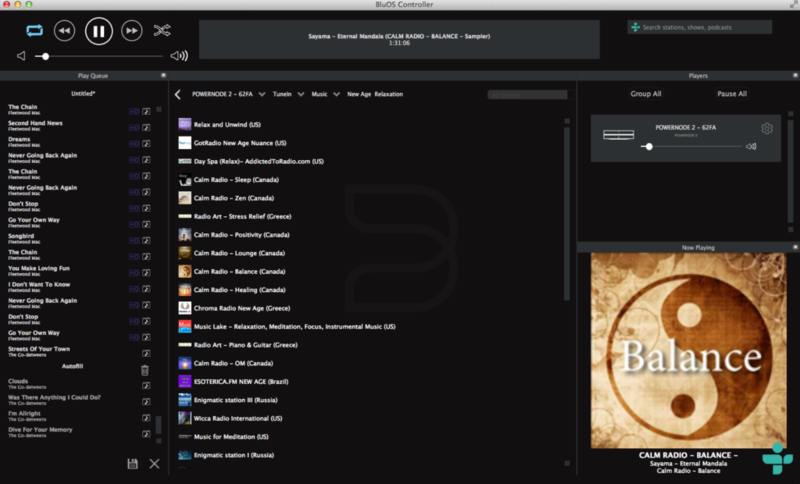 This is a screenshot of the BluOS Controller as it looks on Mac OS X. I’ll bet they made it look like iTunes for a reason. I’m not giving you a bigger image because I don’t want you seeing how much I’ve been listening to Fleetwood Mac. Yeah, it’s a lot. You can download the BluOS Controller for just about any device. You can even control the same PowerNode 2 from two different devices if you choose. I know this because my nine-year-old changes the volume from his iPhone in the other room – yes, while I’m listening, about which I am none too happy. On the other hand, while he knows how to play a CD and an LP, he’s grown up listening to streaming music – Spotify, YouTube, etc., so it’s quite natural for him. It takes a small bit of work to tell the PowerNode 2 where your media files reside. But once that’s done, you don’t have to do it again. To keep from having to map more than one share, I put my FLAC files in the iTunes music folder, which works fine even though iTunes itself doesn’t support them. Note that you’ll need to tell the BluOS Controller to re-index your library each time you add a new file or group of files. At first I didn’t warm to the Andrew Jones-designed Elac B6 bookshelf speaker, but I love its dark moody sound with the PowerNode 2. Could these be the world’s best Bluesound PowerNode 2 speakers? There is a certain quickness and freshness to the sound of the PowerNode 2 media player that makes me want to re-hear just about everything in my library, and I’ve spent many hours in pursuit. I haven’t run the PowerNode 2 with big thirsty floor standing speakers, so I can’t vouch for its universal amplification abilities, but I’ll get around to trying. You’ll just have to check back. The way I think of it, my office isn’t really big enough for big speakers anyway, and I like the transparency and imaging you can find in little bookshelf speakers. It’s doing a great job powering the Elac B6, along with another Andrew Jones-designer speaker, the Pioneer SP-BS22-LR, as well as the KEF Q100 at various times. For more on these speakers, see Best Budget Bookshelf Speakers. I have this classic on vinyl, and I’m telling you: The 192 kHz FLAC files sound just as good, as rendered by Bluesound & Elac. It sounds a lot better than the pea soup green jacket would seem to signal. After receiving the Bluesound PowerNode 2 Wi-Fi music player for review, I took the plunge and started buying albums in the venerated 192 kHz FLAC format. 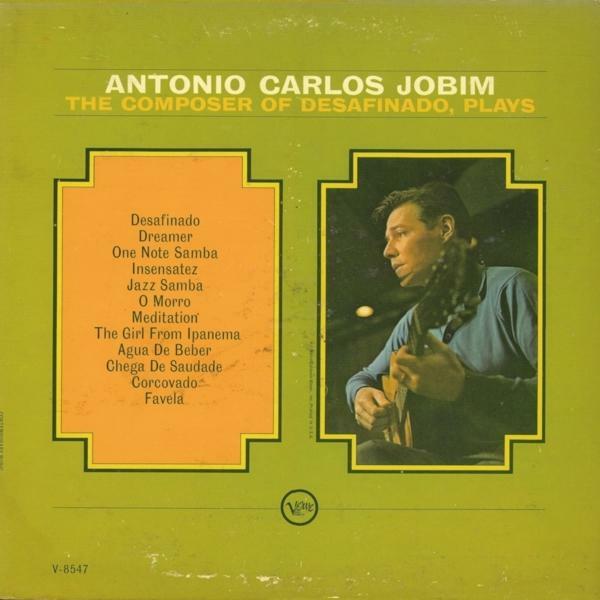 One of the first I downloaded was Antonio Carlos Jobim’s The Composer of Desefinado, Plays. I have this one on vinyl, and I can tell you that the FLAC sounds every bit as good through the PowerNode 2. This is one talented digital converter in the PowerNode 2. The Samba de Uma Nota Só (a.k.a. One Note Samba) is one of those recordings that seems to create a tiny vacuum chamber the room with its presence. 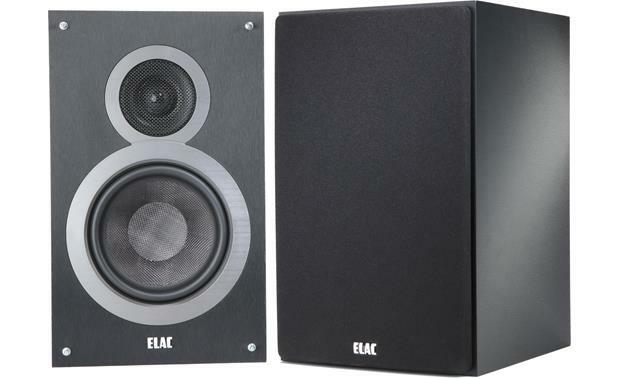 I love the bloomy sound of Jonatha Brooke’s “Made of Gold” (Plumb) as made through the Bluesound/Elac. (I ripped the CD to my MacBook Air and streamed it through the PowerNode 2.) This particular track doesn’t quite have the dreamy swirling sound made by the Parasound/Magnepan MMG combo I reviewed recently, but I’m glad to hear the pop and thwack coming off of the Bluesound/Elac combo. (Just don’t drive things too loud….you’ll lose the detail.) The anger in this particular track really comes to the fore on these dark and brooding ELACs. I like that. And now a few words about the earthy sounds of Fleetwood Mac’s Rumors (192 kHz FLAC) through the Bluesound media player. They take me right back to those awkward days as a plucky redhead growing up in the 70s, spinning Stevie and Lindsey on the turntable ’til I’d shaved down the grooves. I’m just kidding. I was an awkward redheaded kid, but I didn’t discover Fleetwood Mac until much later. I can imagine I’d have played the hell out of Rumors if I’d known about it, especially the indignant stuff like “The Chain,” even though I’d have had no idea what it meant. 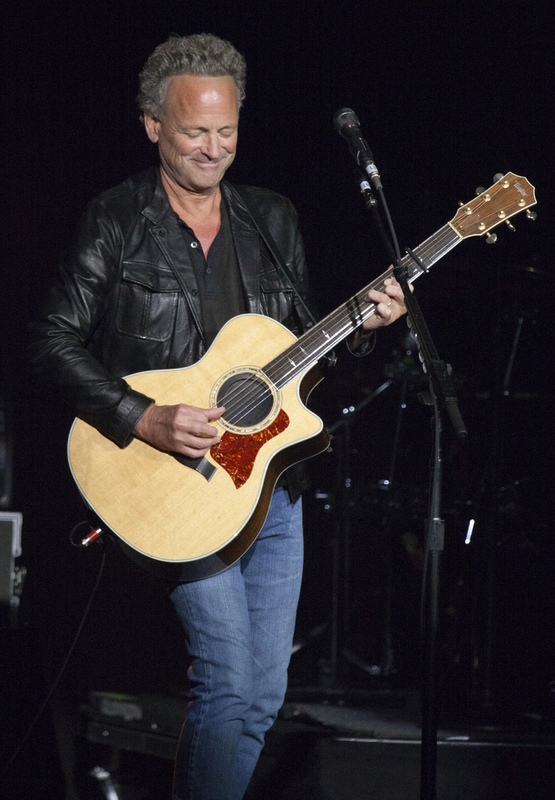 What I’d give for a California twilight where Lindsey Buckingham played some of his old hits for me and a small group of friends on a Taylor 814! Possibly on the beach in Carmel-by-the-Sea, but anywhere would suffice. Everyone needs a prog rock phase, don’t they? I’ve had at least two, with the first one occurring a mere 30 years ago, in my late teen years. And why shouldn’t Phil, Tony, Mike and company be at the fore? I’m pretty sure it was my skiing buddy Tommy who introduced me to the early post-Gabriel Genesis stuff. It was WXPN in Philadelphia who played a Genesis cover a few weeks ago to help kick off this latest discovery. There I was, sitting in the parking lot at Sam Ash in King of Prussia, PA, forlorn in my state of not having bought a new instrument, when all of a sudden XPN rolls this Genesis cover. It was actually a pretty decent cover of “It’s Gonna Get Better,” although one I haven’t been able to track down since. And with that, I was back to A Trick of the Tail, Wind and Wuthering, and the others. I made a beeline home and started ripping CDs so I could play them through the PowerNode 2. Let’s listen to Tony Banks’ epic “Mad Man Moon,” from A Trick of the Tail, the band’s first with Phil Collins on lead vocals. The transition at 4:48 is one of those transcendent and brilliant moments in all of progressive rock for me, where what follows makes perfect sense from what went before, yet where the music and lyrics take an entirely new and urgent – if obscure – direction. There are a few nifty signature changes to keep us on our toes — from 4/4 to 7/8, to 2/4 and then back to 7/8, finally returning to 4/4 after a single measure of 2/4. (Yes, I can read time signatures. How about that?) Some would call it disjointed, or perhaps double jointed. Not me, and certainly not in the context of prog rock. If anyone has insight as to where they’re actually headed with this maneuver, let me know. Perhaps it’s not to be known. On the surface, it sounds like a footballer’s nightmare, set to the gallop of a Sunday afternoon fox hunt. The play on “goal” and “gaol” is a tad corny, but at least it caused 18-year-old me to look up the latter just to make sure it really meant “jail,” as it’s pronounced. Here’s how the lyrics go. ’cause sand is thicker than blood. It’s not easy music to unpack, but the Bluesound Wi-fi streaming music player makes handy work of this bouncy and buoyant 30-second interlude, as well as the rest of the material on this track, including the xylophone earlier at 2:38. Brilliant music, brilliant rendering. 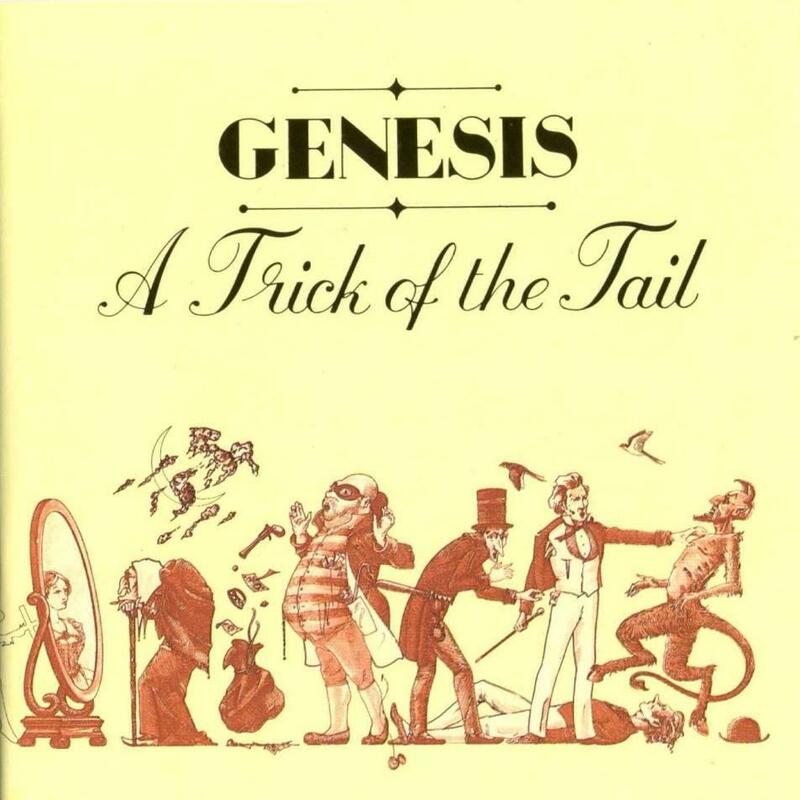 Genesis’ A Trick of the Tail: 51 minutes and 11 seconds of sheer prog-rock bliss. While we’re on the topic of Genesis, I’ll add this. I’m not big on skinny ties, but I do like the more staccato bass presentation and peculiar phrasing in this live version of “It’s Gonna Get Better” as compared to the studio rendition, by far. Perhaps it’s a minor point to some, but not to me. By this time in human history, Phil and the guys had a foot in pop, but this particular track seems to have a strain of the older Genesis running through it. Here’s what I’m hoping for in a future release from Bluesound. 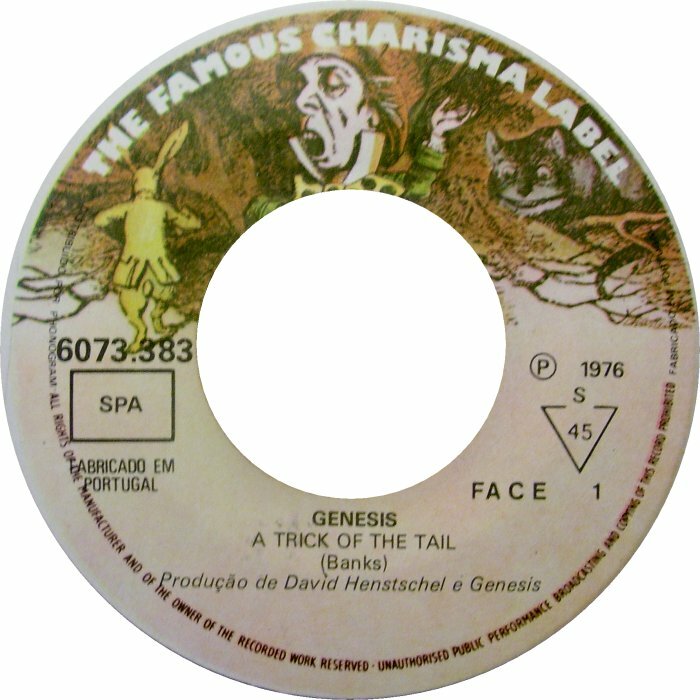 Dear Genesis, the 45s sounded great, and looked pretty snazzy, too, but if you don’t mind will you please release some of your old albums on 192 kHz FLAC, STAT? If I may be granted a second wish, how about a 192 kHz FLAC compilation of concert footage from, say 1976- 1983, preferably including Eleventh Earl of Mar and It’s Gonna Get Better? My ears would really appreciate it. Thanks in advance. When it comes to contenders for best wi-fi streaming music player, the Bluesound PowerNode 2 should be at the top of your list.